Mother’s Day is Sunday, May 13th, so for you last-minute shoppers, here are some great ways you can make the mother in your life feel special. Always easy and on time, you can have a gift or flowers delivered via one of the many flower retailers available online, or by visiting your local florist. My personal favorite is 1-800-FLOWERS. They always deliver exactly what you order, on time. Cards are always a great way to express how you feel. 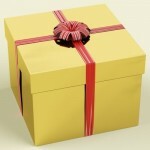 With the economy, many people say they cannot afford to get their mother or significant other a present. If she is anything like me, it’s not the gift that matters, it’s the thought. I do not know too many mothers that would scoff at the thought of only getting a card. We really don’t care, in most cases. We just want to feel loved or thought of. I got my Mom a card recently in which I recorded a message to her. She told me how special it was because anytime she wants to hear my voice, she can just listen to that card. I never even thought of that. These types of cards are available in lots of stores like Wal Mart, Target, K-Mart; etc. If you are fortunate enough to live near your mother, why not take her out to lunch? This is very easy and you will get to enjoy spending quality time with your mother. I know she will appreciate it, too, and it will be something she can brag about to her friends or the ladies at the hair or nail salon. I suggest you pick up a card too, to make the occasion extra special. If the mother in your life is a typical woman, you can never go wrong with a new purse. There are so many colors and styles to choose from. A matching wallet is also a nice added touch. For color choice, maybe you can recall some blouses she wears. Usually a woman’s favorite colors will be apparent in her wardrobe. Jewelry is always welcome by ladies of all ages. If you opt to go with real gold or silver you can find very nice necklaces for under $100. However, if you want to spend the big bucks on jewelry, I suggest you go to a reputable jewelry store, rather than some place like Wal-Mart. Most mothers always put everyone else ahead of their own needs, so they often do not spend money on things such as lingerie or pajamas. If you know the right size, these types of gifts are always welcome. I personally love to get new pajamas or gowns. I get tired of wearing the same ones over and over. For these things, it really doesn’t matter where you buy them. We do not care, as long as they are comfortable and cute. Scarves are really in style now. A nice scarf and a small bottle of perfume or cologne would be a welcomed gift for the fashion conscious mother. However, let me caution you on perfume or cologne-women are picky about their fragrances. If you do not know for sure what she would like when selecting a fragrance, then do not attempt it. Most women have their favorites and will not vary much from them. If you want other ideas, Gifts.com offers a wide range of ideas for all different types of mothers and for different budgets. Here is their link: http://www.gifts.com/ideas/mothers-day . I hope these Mother’s Day gift ideas will help. As you can see, even though Mother’s Day is swiftly approaching, you still have time to make the mother in your life feel special. I hope you all have a wonderful Mother’s Day! Superb page, I enjoy this page, you never fail to have really good content. It’s actually starting to be more and more difficult to track down first-rate information over the internet. I’ve book marked this site for future reference point. I look forward to your future content. Take Care, Laura. Thank you. I’m glad you stumbled upon the site. Keep coming back. I am extremely inspired along with your writing skills and also with the structure for your weblog. Is this a paid topic or did you customize it yourself? Either way stay up the nice quality writing, it’s uncommon to see a great weblog like this one nowadays.. Thank you for your kind words. If you are referring to the Mother’s Day topic, I wrote it myself. The blog is a custom design that is a work in progress, for sure. I paid for the theme, but customizing it. Thanks again and I hope you will keep coming back. Fantastic items from you, man. I’ve take note your stuff previous to and you’re simply too excellent. I really like what you’ve got here, really like what you are saying and the way wherein you are saying it. You are making it enjoyable and you continue to care for to keep it smart. I can not wait to read much more from you. This is actually a wonderful website. I have a reseller account through my host. I can host you through the same account that I use for other web site clients. If you are interested, send me an email to rhonda@cleaningouttheclutter.com and I’ll give details and pricing. Thanks.